GeoMax provide a comprehensive portfolio of integrated solutions by developing, manufacturing and distributing quality construction and surveying instruments and software. 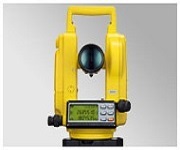 Boost your daily performance with these easy-to-use, yet highly productive distance measurement engines for a wide range of applications such as surveying, engineering and construction. 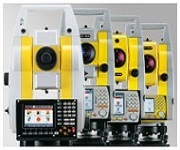 Designed for highest precision and accuracy GeoMax total stations offer you an excellent price-performance ratio without compromising quality. Ensure ultimate reliability with GeoMax GNSS systems even in challenging environments. Providing true cost-effectiveness these systems are equipped with the latest GPS technology in the field helping you increase your productivity and taking your performance to a new level. 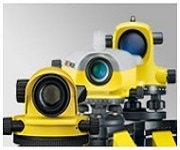 GeoMax provides a high productivity and easy to use Laser Scanner solution. We have developed a lightweight and portable product which can work even in adverse conditions wherever other laser scanners have to stop. 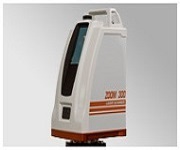 Our Laser Scanner is the complete solution for 3D survey needs, affordable for everyone. Accuracy is the basic precondition when it comes to general construction tasks. 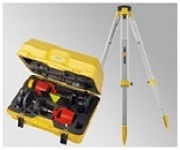 GeoMax electronic theodolites are affordable, easy-to-use, and provide you with a highly flexible and accurate tool for checking angles, alignments, grade work and short range levelling. 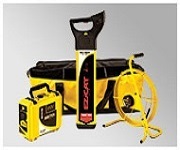 GeoMax levelling systems make it easy to complete your daily levelling tasks on time with the highest accuracy. Rely on their comfort and robustness when working indoor or outdoor, even under challenging weather conditions. Offering an outstanding price-quality ratio these systems provide you with quick and error-free results. 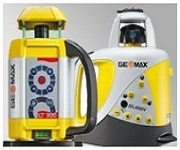 Suitable for a wide range of applications GeoMax laser rotators are true multi-purpose tools with an oustanding cost-effectiveness. From site work and levelling to alignment, pipe laying, interior finishing and civil engineering projects - these multi-purpose lasers always offer the required accuracy and reliability. 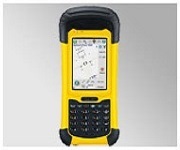 The GeoMax dataloggers provide high performance in harsh conditions. Based on an open platform, just use the software best able to meet your requirments and rely on the robustness and precision of the easy to use devices. 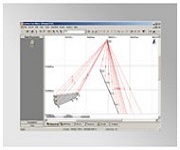 All GeoMax software is developed to make your daily work more easy and flexible. Highly innovative contents as well as simple and intuitive interactions with the systems enable you to gain, analyze, use, and transfer data just as needed. Simply choose the software best able to meet your requirements. Tested to meet the highest standards and expectations GeoMax accessories are the perfect complements to every GeoMax system. Whether tripods, poles, containers or the like: Make sure that the reliability of your tools is supported by accessories just as reliable in every situation. Please let us know your needs for our applications! Geo-Vjosa is GEOMAX Distribution Partner for Albania, providing the neccessary tools for the realization of topographic and geodetic solutions. 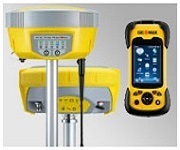 GEOMAX, as one of the companies part of the Hexagon Group, represents the same family values and quality, combining exceptional level of technology with practicality and simplicity of use, and offering the instruments and equipment with optimal ratio price / performance suitable for any work in the field of topography and geodesy.